“‘No Longer Alien Residents’: Italian Jewish Texts in the Late Renaissance,” a lecture by Professor Alessandro Guetta, Institut National des Langues et Civilisations Orientales (INALCO), Paris. Delivered February 27, 2018, at the Kislak Center for Special Collections, Rare Books, and Manuscripts. In this lecture sponsored by the Jewish Studies Program at the University of Pennsylvania, Professor Alessandro Guetta discusses early modern translations of Hebrew texts into Italian and Judeo-Italian, a language written and spoken by Italian Jews from the 13th to the 19th centuries. Professor Guetta begins by positioning his work as a response to a lack of cultural and literary studies of these translations. Through a series of case studies, he argues that despite ongoing social segregation, Jewish writers were integrated within Italian society through their use of a common language, namely the Tuscan dialect that was becoming the national standard. In a period characterized by complex and creative literary production in both languages, a skillful adaptation of a Hebrew text into Italian allowed readers to appreciate the beauty of the text in both languages, and heightened their sense of its spiritual and intellectual meanings. Thus Prof. Guetta concludes that Italian was “not less beloved than Hebrew,” and encouraged his audience to seek out the unedited Italian and Judeo-Italian literary manuscripts from this period. The link to the lecture on the SIMS YouTube channel is https://youtu.be/M6pwRWVISHQ. 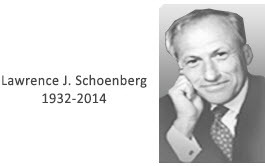 The Schoenberg Institute for Manuscript Studies/Herbert D. Katz Center Distinguished Fellow in Jewish Manuscript Studies fellowship is supported in part by the David B. Ruderman Distinguished Scholar fund. Categories: Uncategorized, Video | Tags: Alessandro Guetta | Permalink.